While food is one of the two fundamental pillars of human survival — water being the other — how often do we stop to think about food in a socio-cultural sense? For Zeynep Kilic, sociology professor, Fulbright Scholar, and Turkish transplant in Alaska, Turkish food has been the link between her new world in the US and her upbringing in Turkey: “My dinner table has always functioned like a bridge between my social network in my new country and myself, shortening the distance between us,” Kilic narrates in her documentary Tables of Istanbul, currently making the festival circuit around the world. “Whenever I want to make friends I seduce them with Turkish food,” she says with a welcoming smile. But it is not only the warm familiar tastes of home she craves in Alaska’s icy climes, she is also curious about how the immigrant experience shapes the foods we eat and how we prepare them. As a sociologist, seeing how my Turkish identity became sharper in the kitchen made me curious. But I only became aware of this phenomenon after I moved to Alaska. Living in a state with long and dark winters that limit agriculture made me realize what a privilege it was to come from a land where you can bite into sun-ripened grapes, fresh-picked cherries and tomatoes, right off the stalk. On the other hand, Alaska taught me the pleasures of eating fresh salmon you catch yourself or biting into a moose burger that may possibly be road kill, as well as the joys of picking blueberries or raspberries by the handful while hiking. I started to think that perhaps eating like a Turk while living in Alaska was absurd. Should I be combining Turkish tastes with Alaskan bounty in my kitchen? Or, perhaps as many of my American guests would secretly wish, should I stay as authentically Turkish as possible? This desire to unpack the meanings behind Turkey’s foods and flavors led Kilic far from her new home in Anchorage to Istanbul, a city that itself has been a bridge between cultures for thousands of years, in search of a more comprehensive understanding of what Turkish cuisine actually means and how it is shaped by this enormous history of migration, colonization, and transformation. What she found from interviewing restaurateurs, chefs, activists, food writers, and families is that the core of what makes Turkish food Turkish is far more complicated than she’d expected, and the flavors of all these different and sometimes contradictory perspectives makes for a hearty visual and ideological meal in and of itself. In Tables of Istanbul, Kilic breaks down Turkish cuisine into four categories: food as idea, food as business, food as cause, and food in daily life, all of which form a complex network of idea and practice in which to frame uniquely Turkish flavors and culinary behaviors as well as the local sustainability and conservation efforts taking place within the country to preserve its ancient dishes and guarantee a future for these long-standing traditions. Many of the restaurateurs interviewed by Kilic in the film mention that the cultural stratification of Turkish food goes back hundreds of years into its Ottoman history, where the royal kitchen produced certain types of foods and with a variety of exotic ingredients passing through the silk road, all the while peasant dishes remained a staple as well as being geographically specific to various areas of Turkey. A king’s table and a worker’s table were two very different things, but so were an Istanbul table and an Anatolian table. Today, with such huge migration patterns and constant influxes of people from around Turkey and even its neighboring countries into Istanbul, the city is seeing what can be called the democratization of food. Batur Durmay, the general coordinator for Asitane Restaurant comments on the oxymoron of people ordering a $15 salad in a fancy restaurant for lunch and then going home to eat street food from a corner shop. While this might be usual behavior in the West, this is a new food experience for Istanbulites. And these snapshots from the film are only a small meze platter of what Kilic and her interviewees have on the menu in Tables of Istanbul. For an informal anthropologist/sociologist like myself, it was rather delicious watching such multiplicities of perspectives emerge through a one-hour film, and how deep into these socio-cultural issues their combined efforts were able to produce. Tables of Istanbul is not only a visual feast, but a sociological banquet as well. If you’re familiar with Turkish food your mouth will water for those familiar flavors and you can almost smell the dishes through the screen. If this is a cuisine with which you aren’t yet familiar, you’ll be looking to Istanbul for your next culinary adventure. And for the discerning cultural critic, there are so many fascinating concepts and questions posed in the film to leave you mentally chowing down for days. As for me, a biracial Third Culture Kid without a fixed culinary tradition in my life, Kilic’s musings in Tables of Istanbul has me approaching the food I cook and eat with an entirely fresh perspective that now takes into account the cultural history of products I regularly cook and consume, which actually has me tasting and appreciating food on my Florida table in a whole new way. 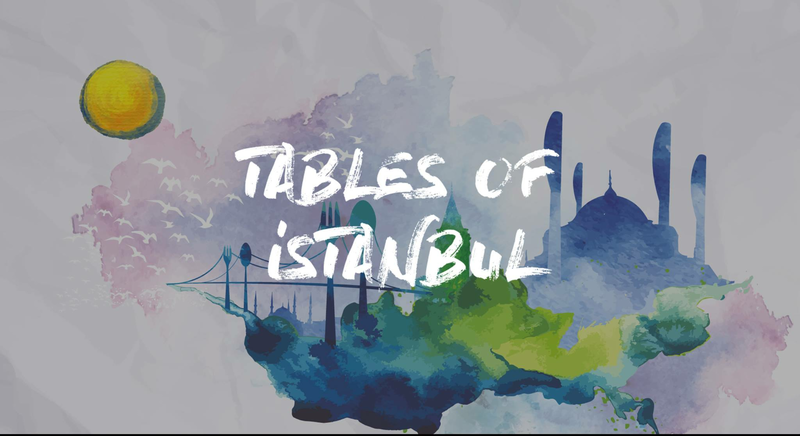 To see if the film is screening near you check out the Tables of Istanbul website, and stay tuned for its release to the general public in 2017. This piece was originally featured on HuffPost Taste, June 2016. The economics of international migration. Read full post. A December 2010 interview with me for expat blog Orangesplaash. Read full post. A rare (for me) advice-giving post for Taking Up Residence magazine about the differences between visiting a place and actually moving there. Read full post. emailFacebookTwitterPinterestTumblrStumbleUponDiggRedditA strange local phenomenon: Czech people eat in public all the time. Not just normal eat-on-the-go types of foods like gyros, ice cream or pizza. You see them at tram and metro stops nibbling on peices of bread. Not French bread, or croissants, or even decent healthy-looking bread. It’s always the cheap, nasty Czech bread… Read full post. emailFacebookTwitterPinterestTumblrStumbleUponDiggRedditThe year 2008, and so far six months living in Prague. Today is the first day the Sun has broken through the cloud cover and pierced the shield of this vampire city. I haven’t written for ages, and I think it was because my last blog incarnation of The TripWire went stale and my ideas… Read full post.